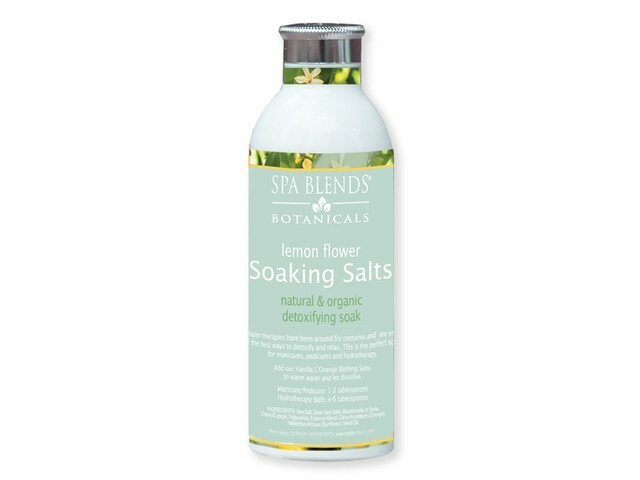 Lemon Flower Soaking Salts 8oz. Water therapies have been around for centuries and are one of the best ways to detoxify and relax. This is the perfect soak for a home manicure, pedicure and a warm bath.